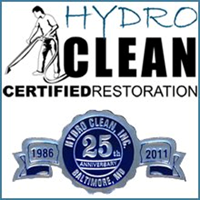 Turn to HYDRO CLEAN and CERTIFIED RESTORATION! Great job improving tile floors put in place in the 1920s! Wonderful service! The young men who cleaned our rugs were punctual, courteous and very competent. Out carpeting looks very good. Wear spots on the one carpet were carefully pointed out and efforts were made to make them look good. The one young man facilitated a call to Hydro Clean for us when the cost for the cleaning was in dispute and we received a prompt reply. We have used Hydro-clean for a number of years and will continue to do so. Great staff and service! The gentlemen that performed the cleaning service in our home did an outstanding job. My carpet looks fantastic even on the stairs! They were able to remove all stains and it looks almost like the day we had it installed 14 years ago! Hydro Clean was on our insurance company's approved list of contractors. In the very beginning, everything went smoothly. The person assigned to work with us, Stephen, was quick to respond to emails and phone calls. He lined up all the necessary sub contractors to get various jobs done. Once we got to repairing our floors, things spiraled downward. The subcontractor was given one set of instructions despite the work estimate outlining something very different. At one point I was in a screaming match with the flooring subcontractor who insisted I was in the wrong. Our damage occurred in July and the work was not completed until November. Our final project was drawn out because Stephen had "the guy" to paint our cabinets. It should have come as no surprise that when he did show up (after a month of waiting for him to become available) he had no idea about the size of the job. What he thought would take a day, took his team 3 days to complete. Not to mention, the paint job is sub-par and is already flaking in multiple locations 2 months later. At the end of it all, we were shortchanged $90 in a final payout that took place in January. I called and spoke to Stephen that night once we realized the mistake and was assured that the check would be in the mail tomorrow. It is now February, and we still do not have a check despite being told it would be mailed every single time I have managed to get a reply. Last week I called the office directly, and the office manager told me that Stephen was out of the office and there was absolutely no one else who could write this check for me. This was one week after I had spoken to Stephen who told me the check would be in the mail. What kind of business is this? The process has been a nightmare in large part to the mismanagement of the job by Stephen and the poor handling of this final pay out of money that is due to us. I would not recommend Hydro Clean to anyone. Daniel and Chris arrived right on time, greeted me, walked through, scoped the area, the heavy-NO MOVE items--like the piano, china cabinets, etc and went to work. Those young men earned their salary that job. The 30 year old carpets look like they're brand new. I had put off deep cleaning until my retirement, because of time issues. Immediately thereafter, my husband was diagnosed with Parkinson's Disease. Our sunroom was transformed into a very busy hospital-type room, for the next 5 years. The cleaning was not high priority, but these gentlemen took care of me and my home with wonderful professionalism. Thanks for sending them to me. They really deserve your highest reward. 5+star ratings. Every piece of furniture was returned to its proper place. Brenda Stephens, Linthicum, MD 5 STAR rating. My carpet hadn't been cleaned for quite some time. They did a great job getting out stains. The men were courteous and thorough. I filled in questions last week, but I don't think that it reached you. Yes, I love your services and the men did an excellent job. I was very impressed with the service provided. The job was done well and I'm completely satisfied. Hydro clean never made me fancy promises. They were honest about the age & horrific condition of my carpet. I never thought it could be clean again! One stain stays and I am glad that they did not put some magic chemical on there and it would pop back up the next day. My technicians were polite, hardworking and careful. I cancelled Teflon the last minute and they helped me clear an additional room last minute. I could not be more satisfied with the cost, integrity and service of this company. Shine 95.1 - thank you- Stacy , Westminster MD. Great company who showed up on time and did the "extra" things for an excellent job. Thank you! I call hydro clean to clean my carpets with the thought that my bedroom carpet has spots that might not be able to remove, I showed the tech Dave the spots and most of the spots were removed making my carpet look better then I thought it'd ever look again. Thank you Dave and your assistance and Hydro Clean for a job well done. I have already recommend you to friends who are interested in your services.